The Lifeboat Foundation Scientific Advisory Board reaches 1,000 members. 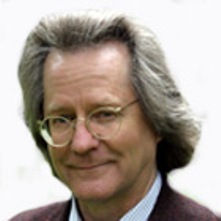 July 2, 2009 — A. C. Grayling, British philosopher and author, joins our Scientific Advisory Board, becoming our 1,000th member. He joins Ray Kurzweil, Nobel Laureates Sir Clive W.J. Granger, Eric S. Maskin, and Wole Soyinka, and many other luminaries, to participate in the Lifeboat Foundation goal of “Safeguarding Humanity”. The Lifeboat Foundation Scientific Advisory Board is broken up into 34 subboards ranging from Human Trajectories to Particle Physics to Space Settlement and has developed 25 programs ranging from a BioShield program to a NanoShield Program to a SecurityPreserver Program. More information about these programs is available at https://lifeboat.com/ex/programs. Unlike most organizations, whose advisory boards are too small to do more than provide some advice, our think tank provides action as well as words. Our board members have developed programs, created reports, donated money, fueled our blog, joined our staff, launched numerous forums, organized events, and provided input on a range of issues from web design to grant proposals to ideas for new areas that Lifeboat Foundation should be involved in. After moving to England in his teens Anthony studied at Sussex University (while there he simultaneously studied for an undergraduate degree of the University of London as an external student), and Magdalen College, Oxford where he obtained his doctorate in 1981. The subject of his thesis was “Scepticism and Transcendental Arguments”. This was supervised by the philosophers P. F. Strawson and A. J. Ayer. He lectured in philosophy at St Anne’s College, Oxford before taking up a post at Birkbeck, University of London in 1991, where he subsequently became Reader in Philosophy (1998), and then Professor of Philosophy (2005). Anthony is also a director of and regular contributor to Prospect Magazine. His main areas of interest in technical philosophy lie at the intersection of theory of knowledge, metaphysics, and philosophical logic. He brings these subjects together in an attempt to define the relationship between mind and world, and in so doing he is among other things challenging philosophical scepticism.